Considering the fact that purchasing a home is one of the largest investments you will make in your lifetime, it makes sense to protect that investment. 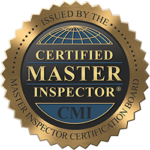 Having a professional home inspection arms you with the knowledge you need to make an informed decision. You will gain greater familiarity with the home and its condition. At the end fo the inspection we take time to clearly explain the items we discover and what might be required to resolve it. A quality home inspections from SMARTMOVE Inspection will help protect your investment and equip you to negotiate confidently. Having knowledge of any deficiencies will allow you to address the deficiencies during the purchase. So you do not have to worry yourself with them while you are unpacking boxes. If you prefer to oversee the repairs yourself, there is often an opportunity to negotiate a lower purchase price. At a minimum, you will be aware of issues rather than surprised by unexpected expenses after you have bought your dream home.